Someone told me recently that I seemed like a “hot mess” and it made me feel bad for a second. I kept searching my mind for this quote but I couldn’t quite remember it…then I found it and realized I want to be with someone who describes me like the above. Because calling me a hot mess is a shallow observation that anyone can make – and on many a day, I can see how that would probably seem true. 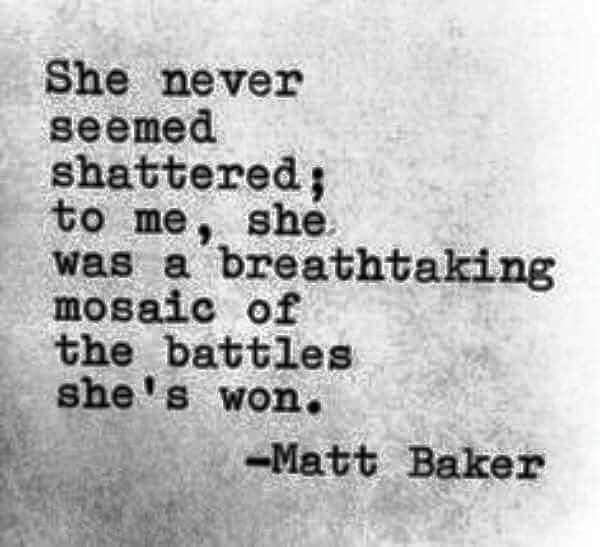 But if you have the capacity to see through that, to see the beauty of that mosaic, then I would gratefully share with you all the benefits of loving a strong woman. Because anyone who can get through a mess and still be standing will probably still be there when you have your own mess. And you will.